Hardwood Coldframe Greenhouse: This Hardwood Coldframe is a great way to harden off all plants before placing them outside for the seasons. The lid can be easily propped open during the daytime, when working with the plants and can be easily shut down and closed. The twin walled glazed polycarbonate panels ensure insulation during cold periods, provides protection during these cooler months and the adjustable shelves are raised up off the ground. This simple yet sturdy wooden frame offers a flexible working environment that all gardeners will enjoy. 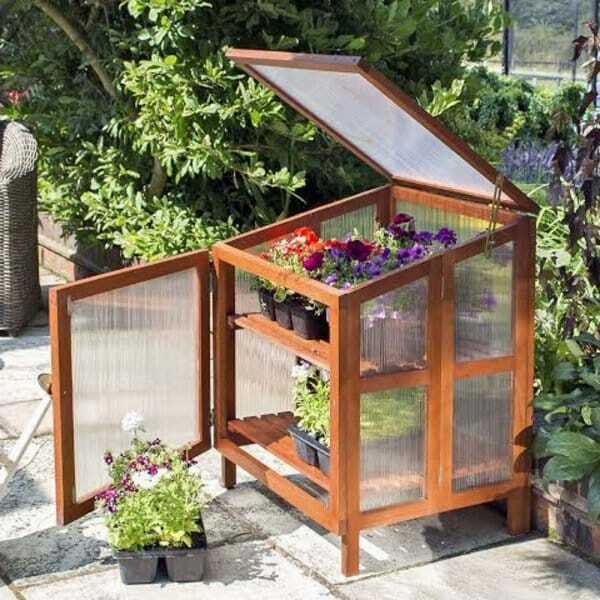 This cold frame is a brilliant piece for your garden if you are short on space in your garden. A Good Quality Wood Treatment is Recommended to Treat This Item.